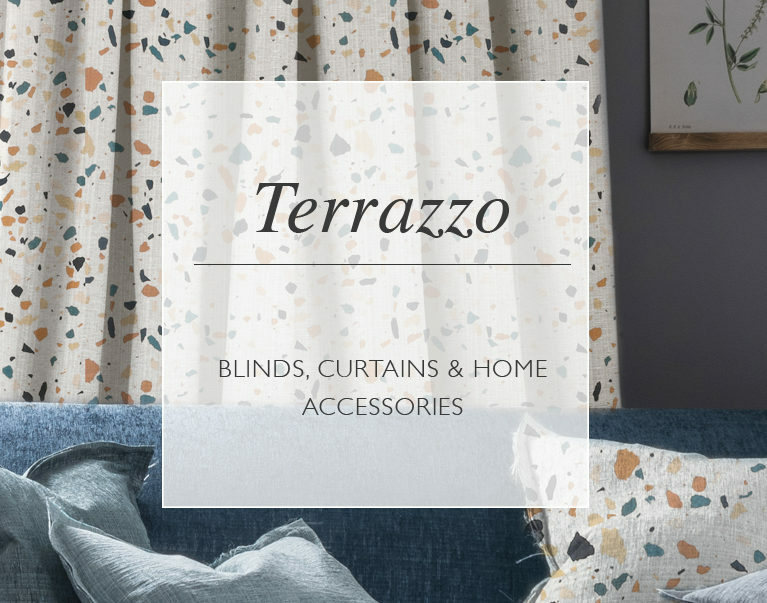 Our brand new terrazzo fabric has arrived and you can now enjoy this season’s biggest trend as curtains, Roman blinds, cushions and lamp shades. 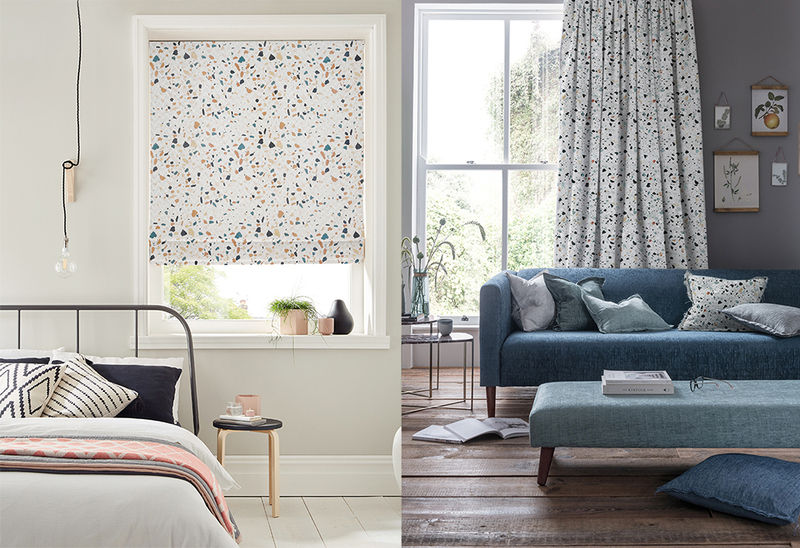 Choose from the 100% cotton Terrazzo Natural and Terrazzo Grey fabrics, available from our Touched By Design range. 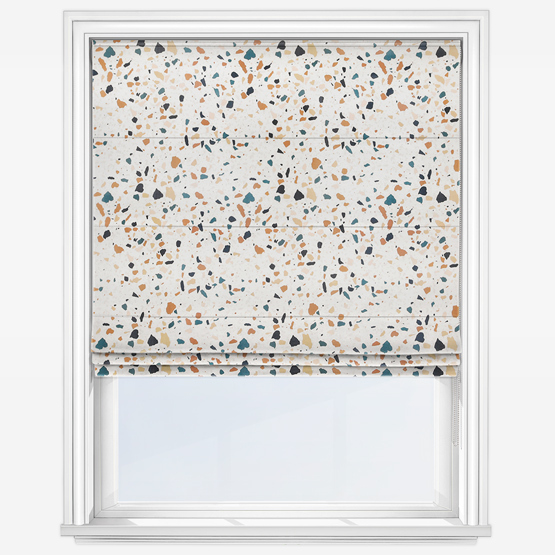 The Natural colour way features a sandy backdrop, decorated with a versatile combination of powder pink, warm caramel and bold teal speckles. This design tones well against all earthy neutrals. Meanwhile, Terrazzo Grey showcases a palette of cool mineral blues, spicy orange and terracotta along with black accents. This would work beautifully alongside all shades of grey, from dove to charcoal. 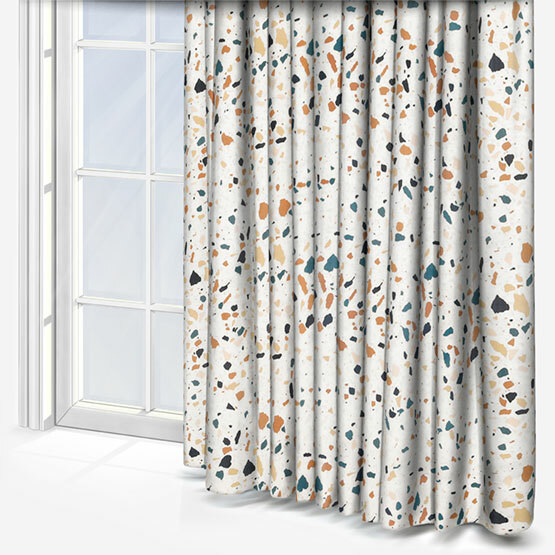 The ‘perfectly imperfect’ speckled print of terrazzo offers a more relaxed approach to pattern. 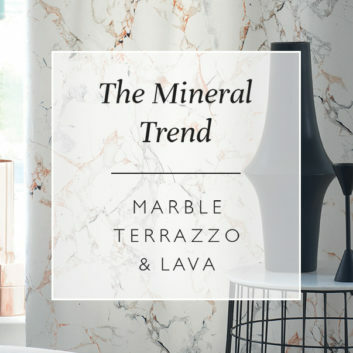 It is subtle and natural, reminding us of the organic beauty of stone and marble, and how different shapes and tones can work together haphazardly albeit beautifully. 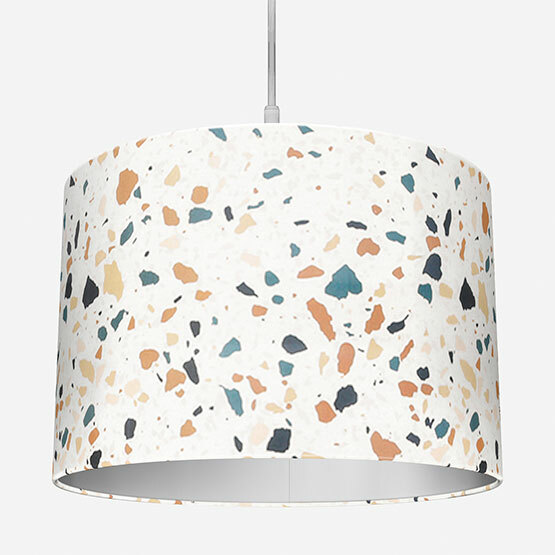 As the sustainability trend continues to soar, terrazzo is once again at the forefront. It is the original sustainable material, created by the poor marble workers of 15th century Italy who wanted a cost-effective way to bring real marble into their homes. This economical approach to mosaic marble flooring became a big hit in the mid-1900s, gracing the floors of hotels, museums and even the Hollywood Walk of Fame. Types of terrazzo included recycled glass, marble, granite and metal aggregates, mixed with either cement or epoxy and then polished. 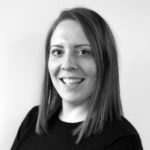 Over the last few seasons it has again gained popularity, arriving in a variety of different forms, including kitchen work tops, tables, lamps and vases, as well as being printed on textiles. 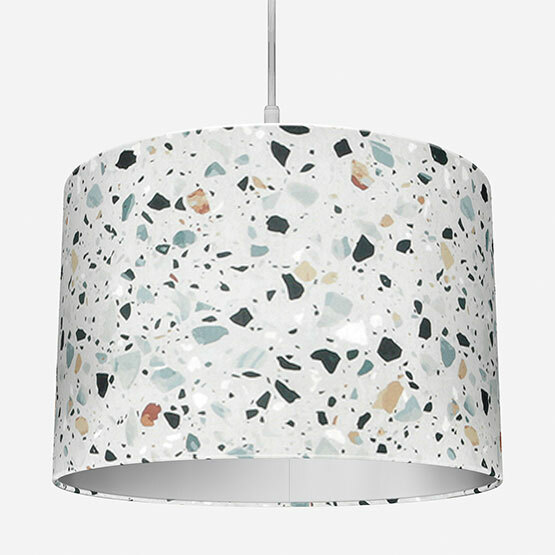 Terrazzo illustrates that less really is more and that the idea of sustainability is growing evermore stylish. The material itself is ideal for hard surfaces, but it can also be adapted onto textiles, printed directly onto the fabric or even embroidered. 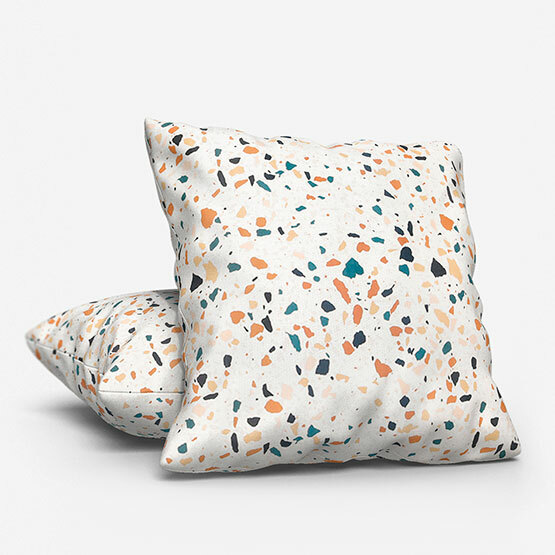 From natural stoney tones to brighter shades of teal, coral, mustard and green, terrazzo will always create an eye-catching yet understated look. 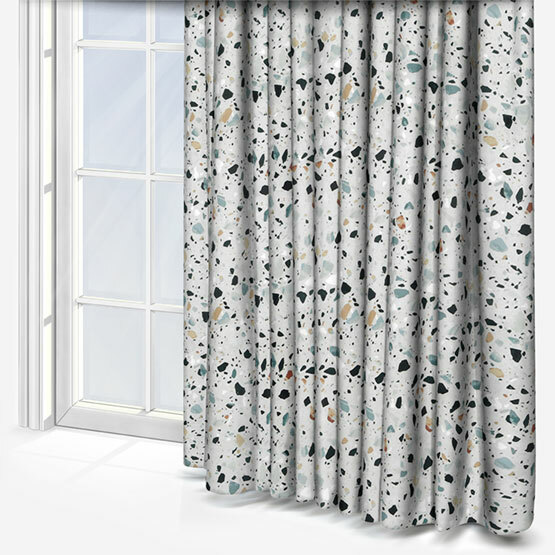 Here at Blinds Direct, we’re delighted to now offer a variety of window treatments and home accessories in high quality terrazzo fabric. Click the images below to shop. 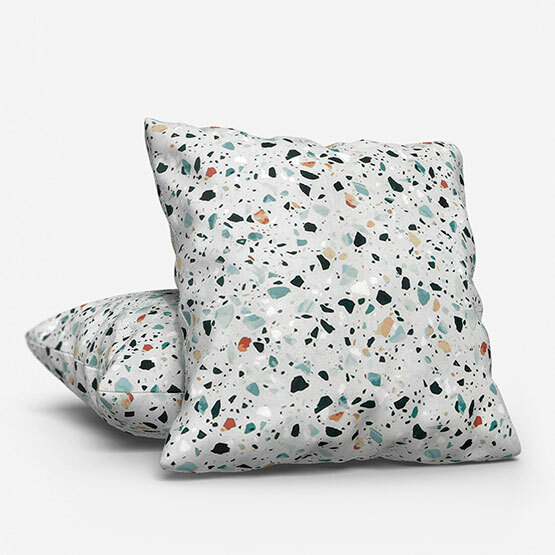 Terrazzo epitomises the decorative artisan trend, as well as nodding towards sustainability. 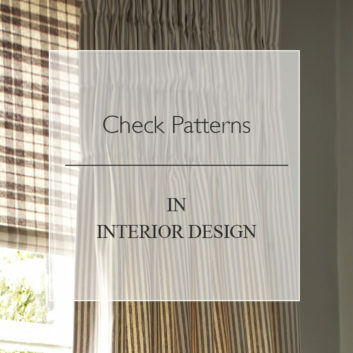 These characteristics, coupled with its visual appeal, makes it a real gem amongst both hard surfaces and soft textiles. 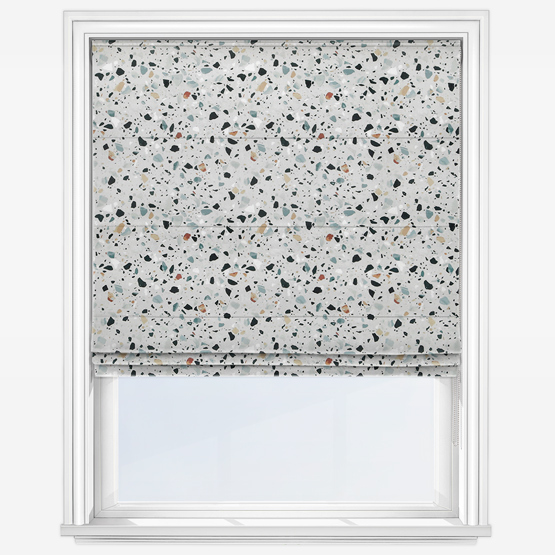 Embrace the terrazzo trend and make more of your windows with high quality, made to measure blinds, curtains, cushions and lamp shades from Blinds Direct. Want to know more about the latest styles and trending colours? Get in touch with our team for more information.